Eyes – sparkle for summer! Home » News » Eyes – sparkle for summer! The eyes tell a story no one will ever understand. They say one look into the eyes can reveal if you are hiding sadness behind a smile, or are lying to the person you love. They simply bare all!! Are you finding it more and more difficult to hide your secrets? 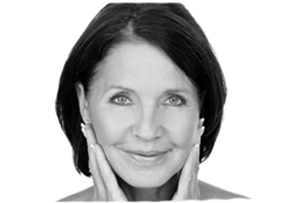 Concerned about the signs of ageing? Do your eyes look ‘tired’? Are the wrinkles starting to show? 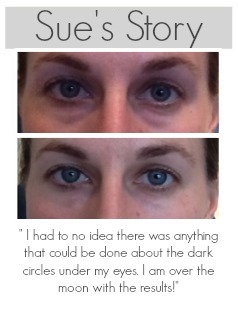 Do you accept what you believe to be hereditary dark circles? and your sense of confidence. There are so many choices to help restore this most important and telling part of our body! -Patient B received anti-wrinkle treatments to lift eyes by smoothing forehead and frown (glabella) lines to the upper third of the face resulting in a smooth, rejuvenating finish. Eyebrows are the frame of your eyes and face, and when designed properly they can lift the eyes, make the cheekbones appear more prominent, and open up the face giving a more youthful appearance. If your eyebrows are sparse from tweezing or if your brows are blonde or light in colour, you can now enjoy the luxury of natural looking, long lasting, perfectly shaped brows. Eyeliner can add definition and make eyes appear larger. 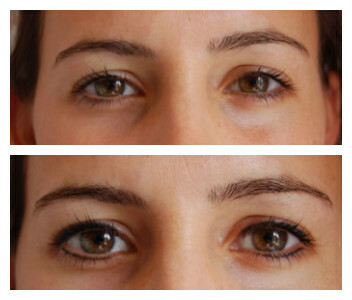 Patient A received treatment of natural looking brows from Susan Coombe, micro-pigmentation specialist. 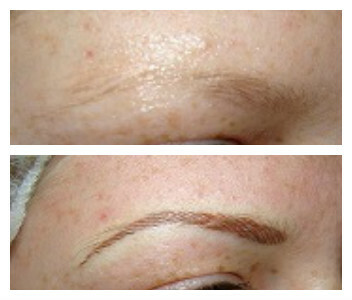 Patient B received light eyeliner pigmentation by Naomi O’Hara, medical tattooist. 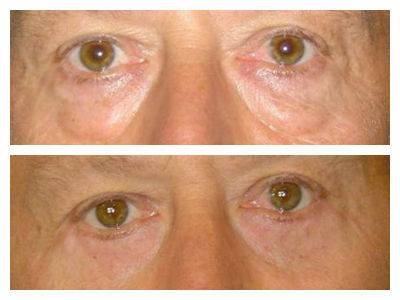 Eyelid and eyebrow surgery (known as upper blepharoplasty) offers a surgical solution to correct drooping eyelids and heavy eyebags which can appear very ageing. This procedure is carried out in a hospital local to you and produces fabulous results, with eyes looking wider, brighter and more youthful.